It seems people are more and more fond of bracelets, instead of actual smartwatches and they’re willing to even sacrifice aesthetics for the sake of some extra technology on their wrists. Designer Ivan Stepanchuk, from Peru imagined a small wearable smartphone, that’s shown below. 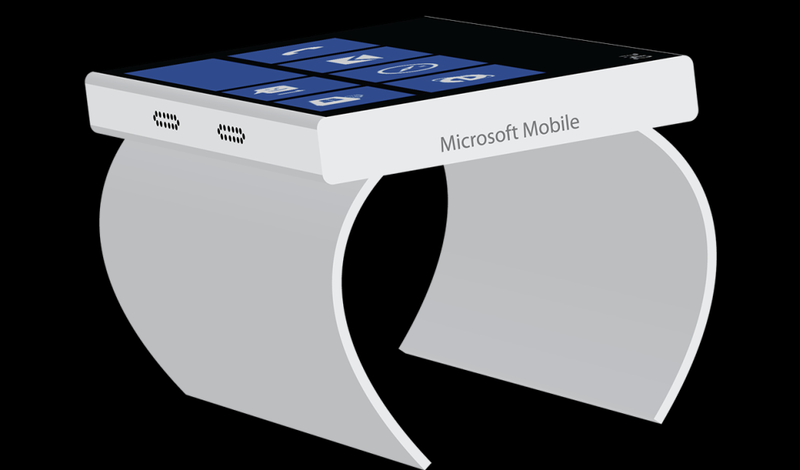 The creator of this concept saw that Microsoft needs something new and created this. The device comes in two pieces: the smartphone itself and the special headphone, that goes in the user’s ear. The device itself has two speakers at the bottom, it relies on a tile-based interface and it has what looks like a rigid hand mount. There’s a microUSB port on board, as well as something that looks like a SIM card slot or microSD card slot. This device is quite thick and I can estimate it’s around 8-9 mm or so, which is beefy by current standards. The screen is pretty wide for a smart watch/bracelet, but it should work for most users. I’ve seen my share of Windows Phone watches already and the interface looked surprisingly well on a rounded screen, but it’s also nice on a square one. 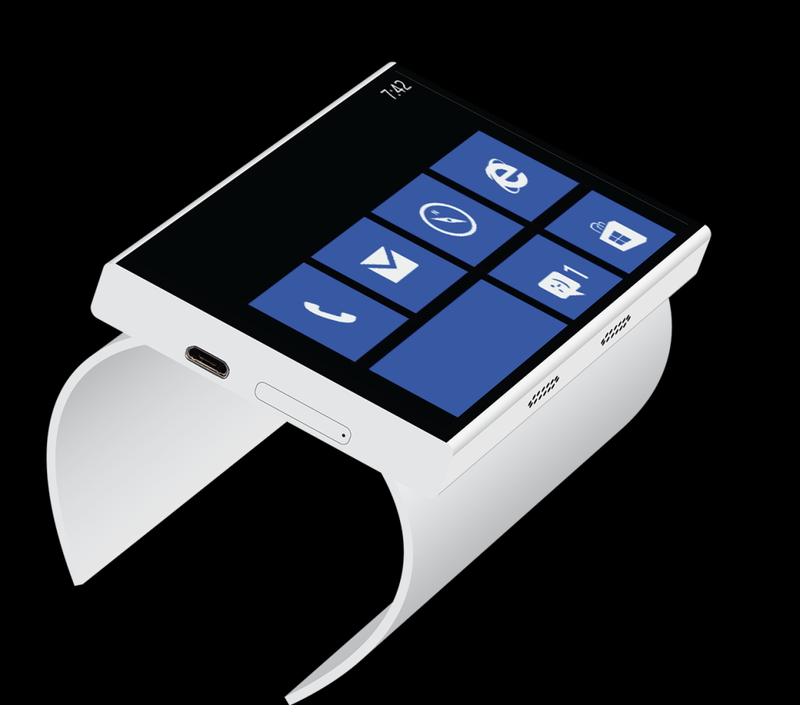 If only the Windows Phone 9 bracelet was thinner… I also wonder what the material used here is: polycarbonate, magnesium or aluminum?